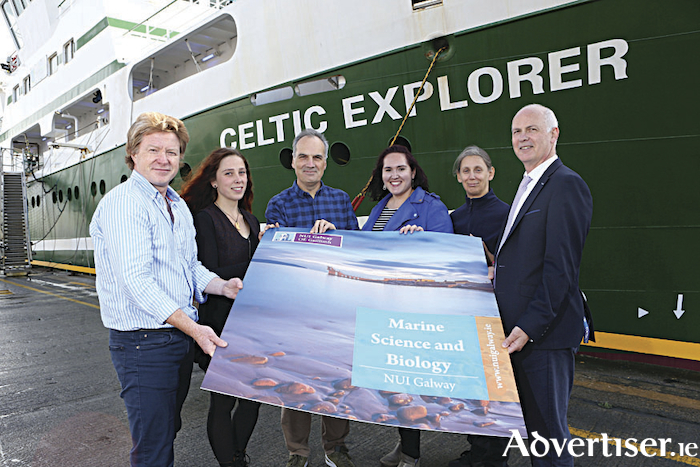 NUI Galway’s International Affairs Office and College of Science have just announced a tailor-made programme in Marine Science and Biology for international students coming to Galway for a semester or year for a study abroad experience. The practice-based programme focuses on marine life and environments, and the biological principles that underlie the science of the sea. Students will gain an understanding of how marine life is distributed and evolves, and how it is affected by human activity in the unique marine environment of Galway Bay and further afield. JB Terrins, International Mobility Manager at NUI Galway’s International Office, said the marine environment is all around us in Ireland, and Galway is internationally renowned for its marine research and teaching. For more information about the new Marine Science and Biology Study Abroad programme, contact Dr Cyril Reddington, International Affairs Office, NUI Galway at [email protected] or 091 492105.